As we all know, the basis of modern civilization is indoor plumbing. Installing and maintaining it in both the commercial and residential spheres require a lot of effort. The skilled trades are becoming hot growth sectors and plumbing is one line of work that’ll see a surge in interest in the near future. Now is the time to get in on this bonanza, as plumbing can be quite a lucrative field. If you’re interested in becoming a plumber, there are a few things you should know about the job before you pursue plumbing as a vocation. 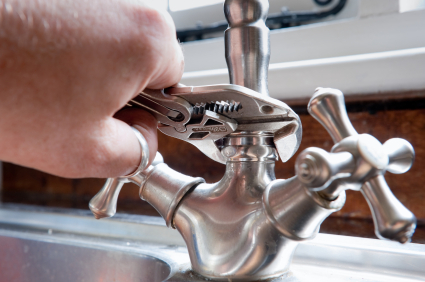 Simply put, plumbers design, install and repair plumbing systems and their components in homes and workplaces. Experienced plumbers must have a deep understanding of how piping networks are affected by water or steam pressure as well as the various codes and regulations governing their use in any given jurisdiction. Also, a familiarity with the electrical systems that power devices like pumps and boilers is a must when diagnosing and troubleshooting problems. Moderate physical strength, a head for numbers and years of experience are required to do the job right. One of the best things about plumbing is that it doesn’t require a formal degree to capitalize on a fast-moving industry packed with opportunities for advancement. Furthermore, the starting pay in most areas is often quite reasonable. Conversely, you’re all but guaranteed some lengthy days and some odd hours on industrial jobs where the only time one can work is at night. An entry-level plumber can expect about $40,727 per year. With at least 5 years of work experience, mid-level plumber in the United States can expect a salary of roughly $51,598. In order to become a plumber, you’ll typically need to complete an apprenticeship of 3 to 5 years under the supervision of experienced plumbing veterans. Many choose to attend a trade school or technical college and complete several hundred hours of class work. Though not regulated on a federal level, working in the plumbing profession will require a state-issued license. Before you take the test, you’ll need to perform a few thousand hours of work in the field. The Plumbing-Heating-Cooling Contractors Association is a good source of information that’s relevant to your area. Quite a few plumbers get their start with the aforementioned apprenticeship and gain experience as they’re learning the trade. Applying for a beginner position at a reputable local business will be the most likely route for aspiring plumbers starting at the bottom. Once licensed, they can move on to a more advanced position with greater autonomy and better pay. Starting your own business after you’ve attained master plumber status will greatly increase your earning potential. Quite a few plumbers eventually strike out on their own and become independent contractors once they’ve gained enough work experience. One of the most attractive aspects of becoming a plumber is that you don’t need to relocate for training or employment. No matter where you live, the demand for new plumbers is likely to be high. Contact your local chapter of the United Association of Journeymen and Apprentices of the Plumbing and Pipe Fitting Industry of the United States, Canada and Australia, otherwise known as the United Association, for tips on getting an apprenticeship. Though not the easiest profession in existence, plumbing can be a fulfilling one for the right individual.